It's no secret visuals are an increasingly effective way to capture an audience's attention. 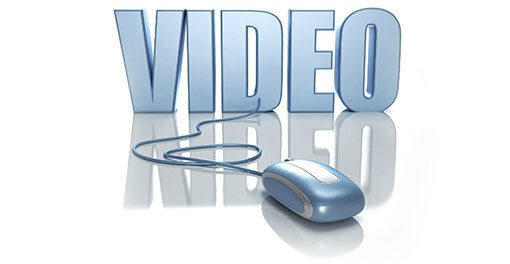 However, videos can also be used as an effective component of SEO. They are valued high by Google and other search engines when ranking websites. Follow these guidelines when using video marketing to boost your search engine rankings. YouTube is the obvious choice for hosting a video on your website. However, paid sites like Wistia or Vimeo may be a better option for those wanting more control over ownership. The result listings will link to the video on your website rather than taking the viewer to YouTube. Some of the most important places to put keywords for a video is in the filename, heading, title, and designated keyword fields. These keywords reinforce those used on your website, which increases SEO rankings. Within 48 hours some keywords used in your video can be found on the first few pages of a Google search. Videos are the only part of a website that carries as much value due to its use of SEO, visual and audio components and level of interactions. Think of transcripts as the content portion of your video. This is where you can explain what your video is about, while giving you another location for keywords. Without it, search engines can't determine what exact content is contained in your video. These are concise videos that explain your products and/or services in an entertaining and compelling way. It's what captures the attention of your customers and builds trust and engagement among them. Being sure to integrate keywords will promote your SEO rankings with your landing page videos as well. Stay ahead of the times to ensure the most out of your website and SEO rankings. To learn more or to get started on creating a meaningful video marketing campaign, contact us today!